A couple of weeks ago we came to meta with a proposed expansion of Stack Overflow: Documentation. The response has been very encouraging: 2,400+ upvotes and even more signups for the beta. You guys also asked a ton of questions. Some of them we were already kicking around internally, but weren’t quite ready to talk about, like versioning. Others hadn’t been on our radar at all, like the very name “Documentation.” We touched on a few of these already in the latest podcast, but we’ve got loads more to share today. I’d also like to mention just how crucial this kind of feedback is to building a working feature, so thank you all! To reiterate: all of this is very early and subject to change. Don’t take any of this as set in stone; we want to hear your feedback and we know we’ll have to make changes once we see all of this “in action” with real users doing real things. What do we anticipate being “documented”? This one was expressed a couple of ways (often implicitly) in conversations about whether tutorials were welcome, or if examples were the “point,” or if we trying to rebuild reference documentation. Chunkier “related task” pages about classes, modules, etc. Things like “Getting Started,” “Making HTTP Queries,” etc. As was the case with what is on-topic for Q&A, I wouldn’t be surprised if this evolves over time. How does this relate to official documentation? First and foremost, we will not be portraying our Documentation as “official” in any way. We’ll treat it just like we do Q&A, clearly community contributed and curated, even if it’s been “blessed” by the owners (like many Google properties have done with Q&A). There are also sometimes things that exist in official documentation that we don’t believe need to be duplicated, such as exhaustive lists of classes, methods, members, etc. Things that don’t require human curation or can be realistically autogenerated, basically. How do we prevent pointless Documentation? This came in two forms: concerns about preventing ghost towns, and “duplicate the existing documentation just to get rep”-behaviors. We’ll accomplish both by having a pretty tight “someone actually requested this” -> “it was useful to someone” loop, and making sure reputation incentives are aligned with that loop. It will not be possible to earn rep just for posting or editing Documentation Topics or Examples. For the loop itself, we’re making sure to collect Topic Requests and actionable feedback aggressively and promote it (see the top 2 tabs in the Dashboard mockup). We will also have a system for reviewing* changes before they go live (the third tab in the mockup), so you’ll have to convince additional people that new Documentation isn’t pointless. *We haven’t figured out who, if anyone, will be able to skip review. It may make sense for a sufficiently trusted user to not require review, this is something we will figure out in the coming months. How do we deal with fragmentation? This was the highest voted concern. Our response builds on the questions addressed above. “Bad” fragmentation is where you now have to check more places to get the same assistance as before. If, say, Oracle were to cut the Java documentation in half and put one half on a different domain in a different style and format that would be bad fragmentation. Similarly, if Documentation just made it so you now had to check MSDN and Stack Overflow for the same quality information you used to get just from MSDN that would be bad fragmentation. “Good” fragmentation is where more or/and better quality content is available than was before. There are lots of examples of good fragmentation: programming blogs, articles, GitHub gists, podcast, and YouTube tutorials. It could be argued that javadocs-style websites themselves are a mild case of good fragmentation; they’re just formatted copies of what you could read in the source after all. If Documentation is truly useful and of higher quality than what’s readily available today, that will be the good kind of fragmentation. So how will we handle bad fragmentation? Our response is two-fold: discouraging “bad” fragmentation in the first place and then dealing with what slips through anyway. A key point here is that the community is going to determine what Documentation exists. If most everyone’s satisfied with a project’s existing documentation then there won’t be requestors, contributors, or consumers so there won’t be much in the system. And if the community comes to think that some Documentation is best removed from the Internet, that is within their power (just like question, answers, users, and tags can be deleted). Aligning reputation incentives such that we reward Documentation that is being used adds a second pass of filtering, as people will be inclined to focus their efforts on what is being underserved by existing resources. For dealing with what bad content gets through anyway, we’ll have a system of voting and flagging that escalates Topics & Examples for further scrutiny. We’re starting from day 1 with a notion of “this needs to be looked at”-action items (the Needs Improvement tab in this mockup; not in love with the name, honestly), for this purpose. That tab will be for more than just preventing “bad” fragmentation - it’ll also be used for preventing copy/paste, bad information, fixing out of date information, vandalism, etc. As an aside: we think that what Stack Overflow did to Q&A is an example of “good” fragmentation. There was programming Q&A before us, and still is after us, but we improved the Internet quite a bit anyway. Hopefully, together, we can make Documentation improve it again. This one was asked a bunch, and we’re all in agreement that it’s pretty important to have a good solution at launch. When the initial post was written, we had plans but not much to show. Now we have a little bit to show. 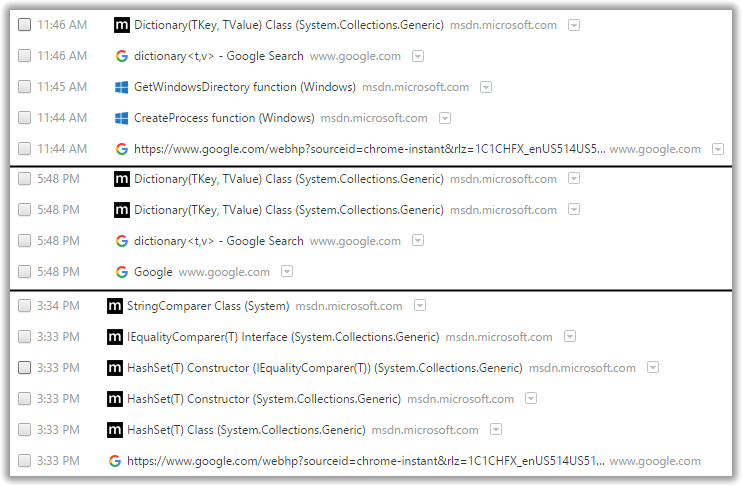 The gist is, every tag (which has Documentation associated with it) will have a list of versions associated with it. Each Topic page can have a subset of that list attached to it, and any block of Markdown code within a Topic can be marked as particular to a version. 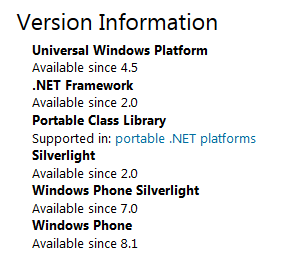 When a new version is introduced, we’ll assume that anything on the previous version is still supported. We’ll use this information for display purposes, as well as for search. Some mockups of what it’ll probably look like. How will new releases / outdated content be dealt with? This ties into the versioning questions. The short answer is: flagging. We’ll escalate these “this is out of date” flags up to the Dashboard like all the other flags. We’ve also played around with some “auto-flag for review when a new version is released”-ideas, but we don’t have anything concrete at this time. This is one of the things I’m hoping the betas will help us iron out. What about hierarchies, nesting, grouping, namespaces, modules, etc.? This question was asked a couple of times, but there was also a point raised a few times which is basically its answer: the default way people search for and through documentation is they google it. You might notice a bit of a pattern. We don’t really think, based on observation and personal experiences, that there’s a ton of value to be had in strict hierarchies. They also add big points of contention and debate, plus some serious technical issues (like, what happens to Topics when the hierarchy is modified, who can modify it, how do you modify it?). The tradeoffs don’t make much sense, in other words. What is super important is linking. Lots of information is conveyed, and links are very flexible. We intend to strongly encourage links, and to make intelligent “Related Topic” inferencing based on it. As with many things here we may find out that we’re wrong in beta, but for now we’re pretty convinced this approach is promising enough to try. What about a different License? Our goal is for anyone to be able to use our content (Q&A and Documentation), provided they attribute the author(s) and Stack Overflow in a reasonable manner. For now CC BY-SA is how we achieve that. This means that any project that has associated Stack Overflow Documentation will be able to safely reproduce it, as a practical matter, though the license may not match their existing documentation license. Concerns have been raised in the past about our license, and we do reevaluate our options periodically. Options that are routinely floated have significant issues, unfortunately, so we haven’t come up with an improvement yet. These things move at the speed of law unfortunately, but we have been actively investigating. How do we prevent plagiarism? This was raised a couple of times, often with reference to tag wikis. Tag wikis get very little visibility (which is just one of the many… issues with that feature), which I think is the root of the plagiarism problem we’ve had with them. We’ll be doing many things to increase the number of eyes that see Topics - like requiring reviews for many changes before they go live, and making it easy to flag copy/pasted content for additional review. We also intend to do some first-time contributor education, and a “don’t just copy/paste, we’ll delete it”-bit is going in there. This wasn't actually on my radar, but enough questions have been asked since this was posted that it probably should have been. 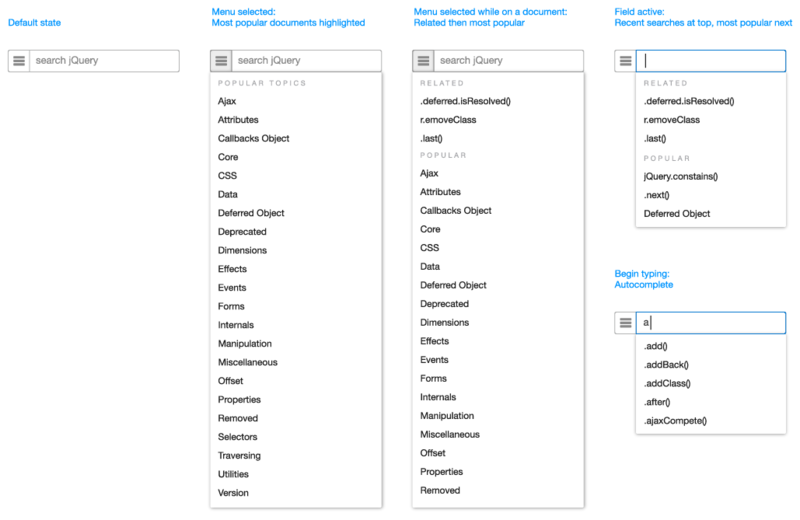 Documentation is envisioned as a new section on the Stack Overflow site. Exactly what that navigation will look like is still being debated, but for now a reasonable approximation is "a [Documentation] tab up between [Questions] and [Tags]." We think this makes more sense than a new site because of how we're expecting Documentation and Q&A to complement each other. Many Questions and Answers will have links to Documentation, many of the same users who post Answers will contribute to Documentation, and tags serve a similar organizational purpose for both Q&A and Documentation. There are some technical benefits to this approach as well, mostly around login and future TLS support. 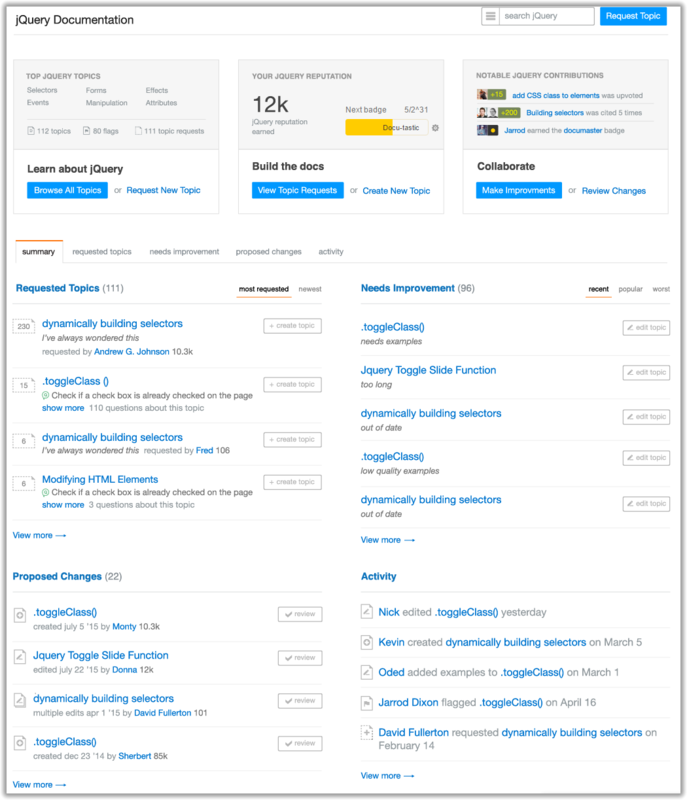 Another minor benefit, for now, is that the "add-on to an existing site"-model doesn't inhibit efforts to expand Documentation to the rest of the Stack Exchange network. For now we’re sticking with the Documentation name, at least until the beta starts, but we are taking suggestions. It came up a couple of times, but this one’s easy to answer: we’ll have print stylesheets, and Documentation will make its way into data dumps and the API eventually. What about small screens, tablets, phones and mobile? We will eventually have mobile web themes for Documentation, but probably not during the betas. Documentation won’t be incorporated into our mobile apps until the whole feature is pretty stable, due to the longer release cycle imposed by app stores. Why is Documentation focused on Stack Overflow, instead of the rest of the network? It is much much easier to design something this complex with a single, focused, problem in mind. We also want to keep our iteration times pretty short once we hit beta, which means the fewer use cases we have to keep in mind the better. But we haven’t precluded expanding Documentation to other non-Stack Overflow sites in the future, nor have we precluded making customizations at that time to better fit the feature to those other sites. And that’s it! I’m sure there will be more questions, and we’ll have more answers as we get closer to the private beta. Once again, thank you to everyone who’s provided feedback so far and do please keep it coming! Registration will be open until the private beta starts. There is no minimum reputation or time commitment requirement. We’ll accomplish both by having a pretty tight “someone actually requested this” -> “it was useful to someone” loop, and making sure reputation incentives are aligned with that loop. The implication here is that a document can only be created if it is initiated somehow by one person, but filled in by another. Policing of the "someone actually requested this" then becomes necessary: a "doc ring" (or duo), or an old-fashioned sockpuppet can still farm reputation points. More importantly, I don't see how this works with the existing idea of self-answering in Q&A-land. Is that concept not going to be transferred? I think that would be a shame; there's no reason that I can see for an expert to not be able to produce an "example" page from scratch. That's the stuff of the "programming blogs, articles, GitHub gists" that you mention: I just figured out how to wrangle $FRAMEWORK into doing a tricky but worthwhile thing, and a) I'm going to have forgotten in three months and b) other people have probably wondered how to do it/will wonder when they see my cool application, so I should write the procedure down somewhere. If I'm reading into "someone actually requested this" correctly, I'm not sure it would be a good requirement. The problem of triviality/plagiarism seems to be essentially the same as that for Q&A, but this solution looks like it would hinder experts from producing useful documents. I didn't ask this in the main page because I got there late, but what will the moderation model be for this new site? Will there be separate elected moderators? Will there be interaction with the existing Stack Overflow moderators? Will there be a separate Meta site for proposed changes to this site, or will that be handled by Meta.SO as well? It sounds like spam and offensive content will be handled by the fact that new documentation will need to be approved first. Where will we draw the line for companies that write documentation for their products just to direct links back at them? We've had many cases of people using questions and answers on SO to seed a FAQ for their products in a way that really pushed the limits for self-promotion. At the same time, we want people from Microsoft, etc. to be able to help with documentation for their products. How will we handle people who are terrible reviewers and who approve everything? How will people who spam edits just for reputation be handled? The tools we have for moderation have been built and tuned for a Q & A system, and I'm curious as to how much of that will translate to a very different format. The above is more question than concern, so I can convert this to a full Meta.SO question if you think that would be more appropriate. Why do we have to gamify this? Let's face it: within 24 hours of the site's launch, it's going to be a rat race. People will write and amass troves of original examples days before the site is even launched, and then once it's launched copy and paste all of their content as quickly as possible to the site with the simplest of examples (and most useful, especially for newbies) like Arrays.sort() so that they will be wealthy in rep forever! How many seconds will it take somebody to create a doc for Hello World!, and how much rep are they going to get from that? Popular APIs will be filled to the brim with as much information as possible, and inevitably those who created the content first will get the majority of the rep. Developers of APIs will have ceased putting as much effort into their own docs, as they can just point their users to "Doc Overflow" and let the community take care of the rest. New information on APIs will have exhausted very quickly. Stack Overflow models its reputation system under the idea that every user has a fair chance of answering questions, and the community will never run out of questions to ask or answer. Unfortunately, libraries take a little bit longer to write, and without new libraries, there will be no source material to document. As a consequence of the last point, it will have become increasingly difficult for new users to earn rep, as their only choices are to edit documentation ("but what if it's already perfectly written?") or to document obscure APIs, which they will never earn rep out of if it is useful to less than a hundred users. We can't quantify how knowledgeable somebody is on X subject, if that person doesn't get a chance to write new info on X because all useful information on X has already been written. Moreover, if somebody gets 500 rep from writing something very concise yet very useful, how can we determine how knowledgeable that person is on things other than a few key points? Consider Wikipedia, another website powered by knowledge. Anyone is welcome to pitch in anything they know on the matter or just restructure the article, and moderators hardly intervene in the editing process because the vast majority of article don't need edits approved due to the existence of well-tuned bots that detect and remove spam. But unlike SO, Wikipedia is not powered by a desire to boost one's ego with an arbitrary number! Most users don't show off their contribution count, and you can't see the total number without using a script, because they don't care, and neither should this community! Let's just spread knowledge without backstabbing each other with elitism. When will the private beta begin? Will it be in 1 month, 6-8 weeks or 6 months? I would like to know the internal schedule that you have in mind. What is the scope of the intended documents? When do we narrow, and when do we broaden the scope? If a user asks for a "Getting Started" guide on a specific library or framework, how does that differ in scope/intent from a "Getting Started" guide on an entire language? Given the above scenario, do we know what they are really asking for? Are they asking for a tutorial? A guide? A step-by-step walkthrough of how to set up their environment? Perhaps I'm overthinking this, but perhaps not, since it's genuinely something that can happen on the site. Do we say, "Yes, we're fine with a user asking for and writing up an entire introduction to a language", and deal with its inaccuracies/nuances/completeness later, or do we reject that at the front door? Help set my expectations here. Will SO-generated documentation be pushed back upstream to the project it is documenting? How, and by whom? As a matter of ethics, I am only comfortable with this proposal if it includes mechanism, policy, and staffing to ensure that documentation does get pushed back upstream, particularly when documenting open-source software. Moreover, a passive "well, it's here if you want it" is not good enough. If this is going to happen at all, I think it is the Stack Overflow organization's responsibility to actively reach out to each upstream project to to get permission to contribute docs, work with them to figure out what is most useful to them, and then continually provide them material. Note that this also entails mechanism and policy for conforming the licensing of SO-generated documentation to each upstream project's preferences. Why is requesting documentation better than asking it as a question on Stack Overflow? Don't get me wrong. I like the idea of that Stackumentation, but as far I understood it, documentation seems to be good when someone asks for it. Writing documentation takes much longer than writing an answer to a question on Stack Overflow. IMHO, most users want a fast answer which solves their problem as soon as possible. What is the advantage for the user to ask for it? Will a documentation request get a review or a vote limit before starting documentation? A user don't understand the documentation and asks for a new one. A user doesn't find the documentation because she or he uses a blob without documentation. Both problems might be solvable with a limit before starting the documentation or a review, so that pointless requests won't trigger a creation of a documentation. What do you think about it? How will the line be drawn between "how do I" and "do this for me"? If working in a topic, and there is a request for documentation or an example, will there be ways to remove requests, close them, or vote on them, or somehow ensure that there is quality control there? If the requests turn into spam or are abusive, can we flag them? And also, for clarification purposes, will each request for an example or topic have a comment section in case the request is vague, too localized, or not really on topic? Given these points, how will this aside from a search interface and new UI, be any different than the current setup of separating by tag, posting questions, filtering questions based on votes and closures, and placing answers with examples to those issues? Will there be a full revision tracking system? Everyone knows that the revision tracking system currently employed by the Stack Exchange network is... lacking. My question is will we get a full revision tracking system for Documentation or will we be stuck with old faithful because it doesn't really matter, most users won't look at the revision history anyway? There are also sometimes things that exist in official documentation that we don’t believe need to be duplicated, such as exhaustive lists of classes/methods/members/etc. Things that don’t require human curation or can be realistically autogenerated, basically. ... which effectively rule out the possibility of using the material here as a drop-in replacement for reference documentation. That largely covers the issue of blurring the lines between primary and secondary sources, and also brings the project closer to "good fragmentation". I still think calling it "documentation" feels a little odd, but that is a minor issue, specially given that there is no obvious satisfactory alternative. "Documentation commentary" (with "commentary" being used in the humanities sense of "explanatory or critical notes on a text") would be accurate, but of course that is not a reasonable name for a project. Can We Close Questions Against Documentation? These Documentation example pages seem to take the form of an extensive, canonical answer regarding particular language features. One thing that comes to my mind right away as an example is PHP's PDO. I could imagine an extensive PDO Documentation section, featuring basic usage and transitioning from the now-deprecated mysql_* functions. If we have an exhaustive answer to this type of query that lives in Documentation, can we close questions against that documentation page? If not, I see an easy way to gain reputation points: copy/paste relevant sections from the Documentation examples, link to the Documentation page, and link to the official documentation. Now I've got a great answer that I didn't actually write and no one can call plagiarism. I love SO...I love SO. I'm a self-taught programmer, and SO has been my loving, guiding, sometimes cruel tutor throughout the years. But I fear that you are taking too traditional of a route and missing a great opportunity for a "true" change to documentation. I suggest that instead of having one "officialesque" topic, like Wikipedia does where there is one central document that is edited by multiple users, that you allow for more dynamic content "compositional viewing". Don't be Wiki and try to make your interpretation of the data be the structure (I love wikis and relational databases, btw, not hating). Let people create raw data, and then event-source / data-mine that data into constructs that provide value. Start with a central document, either an existing documentation page, an open-source code page (e.g. on GitHub), or a SO-generated page...maybe even just a SO question. Then you have different people "mod" that page with wrapper-like stacks. These wrappers are where the "tags" are appended, and they specify what "flavor" of the "documentation", i.e. what technology "stack" they are using - Stackumentation! Then, as a consumer of this "compositional document", I can "create" my documentation view by selecting filters of the who's and the what's: * Who is or isn't "reputable" or "someone I respect"
* Who is "my style coder"
* What technology(s) I'm interested in. * What version(s) I'm interested in. * What version(s) I'm specificaly not interested in. These would be on a per-document and a site-wide basis saved with the viewing user's profile. Once a particular stack is upvoted enough, then it becomes an "officialesque" page. These officialesque pages would then be googleable. compositional views of the same/related pages. system that sounds more complicated than the existing awesome one that SO already implements. People who get value out of something get to upvote on a per-topic and/or per-stack basis. People can create crap that no one reads and it simply doesn't get upvoted or even gets downvoted. Looking forward to the documentation! Whilst answering How do we prevent pointless Documentation? you've mentioned that there will be sections for requested topics and documentation that needs improvement. I really like this part mainly because it should hopefully focus the documentation system. Those who intend (or are capable of) documenting will know what is needed and be able to use their time more efficiently. However, you've mentioned that there will be a review system. I do think a system will be needed, but I'm particularly interested in how you plan for this to work. Will it work similarly to suggested edits in the current Q&A set up? Specifically, if a user under 2k reputation points edits a question or answer now it enters the Suggested Edit Review Queue and the edit button is disabled for other users. Will a similar model be in place for documentation? In the early stages of documentation this may be of more concern than when it has matured and additions and updates are less frequent. I could see this being quite harmful to getting the community behind the idea of documentation unless additions and changes can be quickly reviewed and accepted. Another approach would be to allow simultaneous creation (and edits) of documentation, but then how would conflicts be merged together? Could this be another review task specifically for, say, Gold Tag badge holders? More of a comment than an answer, but this way people can up- and downvote this. Please do so. We’re starting from day 1 with a notion of “this needs to be looked at”-action items (the Needs Improvement tab in this mockup; not in love with the name, honestly), for this purpose. Documentation is mandatory. Somebody didn't do it or didn't do it sufficiently or in an easily consumable way. Maybe they were in good spirit to provide good documentation. Either way, the community needs more/better/... documentation. So we shall not rest until every documentation related // TODO is purged from the code. And maybe this will condition our future selves to be incapable of closing an editor with a pending // TODO for documentation. How much of a time commitment are you looking for in private beta users? I'm considering joing the beta, but unfortunately, I will only be able to be a casual user at this point. I'd probably do a fair bit of reading and a little bit of posting, but I wouldn't spend hours participating in discussions, voting on moderators, adding content, and so forth. Would it still be helpful for someone like me to join the private beta, or are you only looking for volunteers who will give a good chunk of their time? Regarding versioning: what about cases where version is not linear? Will Stack Overflow documentation support something similar? Sooo basically literally exactly the problem originally posed is now being brushed off? The original thing was having autogenerated docs for a library having the list of methods with no documentation; that's what got me excited for this proposal. On another note; what about duplicate documentation altogether? Does it get deleted? Is it marked as a duplicate? What if one of the documents has good information? Are they merged? Won't too many duplicate pages kind of crap up the whole system, and re-create the problem we're already facing? I want to be enthusiastic about this proposal, but I am going to err on the side of be pessimistic this time; I don't see much standing for, well... any of this. Something along the above lines. I don't remember from the top of my head where I read this. But some libraries do this. So basically make sure the version support can be edited later on with flexibility. The assumption that you are making may be completely wrong in some cases. Regarding plagiarism, would it be possible(/permissable) to automatically hit Google with a few key phrases from someone's contribution and see if it's reproduced, word-for-word (or almost word-for-word), from another searchable site? At that point, the user could be prevented from posting the content, and warned that you really don't want them to copy/paste stuff from the Internet. It's true that with a little effort someone could probably fool your algorithm into accepting a mostly-plagiarized post, but it would prevent the accidental "I'm new here" type of plagiarism, and open the door to real consequences for the few people who are obviously going out of their way to get around it. How will you handle additions that are not yet implemented? It occurs often in ECMASCRIPT implementations—which is very annoying; you can have an existing interface missing the underlying implementation. Is there an API for Stack Overflow Documentaion? Why is Documentation not ordered in any discernible way?